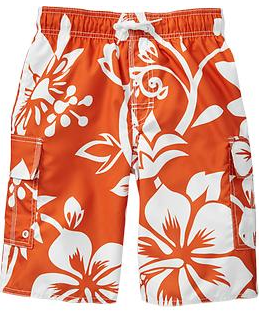 When it comes to swimsuits for kids, I’m all about the boys. My 4 sons show up at the beach in the loudest, boldest, most colorful swimsuit I can find. My husband gets a kick out of it because even though they can be spotted anywhere at anytime (please, thinking of my 4 boys on the beach gives me hives!) they’re still trendy. Call it the mom fashionista in me! And right now for boys, it’s all about Hibiscus print! I love it! But what about the girls? What’s trendy for girls right now? 1) Ruffles — I love ruffles because they’re so adorable and cute for a little girl. They’re dainty and fabulous and just fun for a little girl! Seriously, my heart melts when I see these suits! 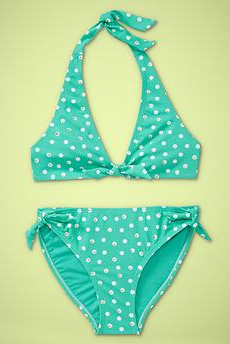 2) Polka Dots — I told you polka dots were going to be trending this spring and summer! I love this swimsuit for a little girl, it’s just so classic! 3) Colorblocking — Even for little girls! I love seeing hot trends for the “bigger ladies” make their way down to the little ladies! 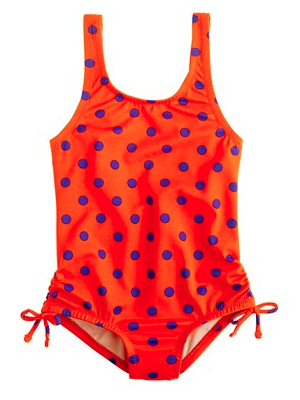 Here is a gorgeous colorblocking swimsuit for your little fish. I am loving the color combo here! 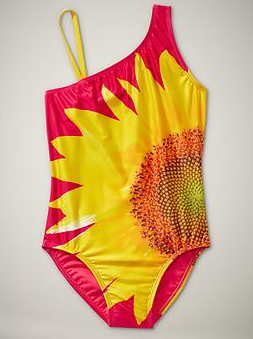 4) Flower power — Lots of flowers are making their way onto bathing suits this summer for little girls. I think it’s a beautiful touch and it’s very bold and very beautiful. I have to admit, whenever I see flowers… they make me smile. I love this trend right now! Audrey McClelland can also be found at MomGenerations.com, Lifetime Beauty/Style, Momversation.com, GettingGorgeousEvents.com and GiftGuideGirls.com She is also the co-author of The Digital Mom Handbook.